Tell Them I’m Somebody Else was released in 2000. A wonderful video of over 104 minutes of footage. A great release featuring some tremendous live performances and also fly on the wall scenes in the dressing room, rehearsals and interviews with John. 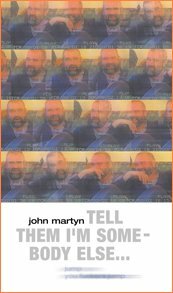 Available in NTSC (USA), PAL (UK) and SECAM format, a very enjoyable film and worthwhile addition to your John Martyn Collection. Plus: Backstage footage, soundchecks, rehearsals, interviews.